The Lakers did it. The Chicago Bulls did it. By far, no one has done it better than the Boston Celtics. The New England Patriots continue to do it. And what about those N.Y. Yankees. There’s a science to building a championship that every great coach knows. There’s a special skill needed to bring together a group of people to achieve a goal. Way before the first official practice and​ long before they get out of the locker room, all winning teams sign on to a particular set of principles. They prepare themselves for the greatness they know lies ahead. So why can’t we? What’s stopping us as families, as couples, or as a small group of friends from building our own championship team? What if we were given the chance to reset the clock? What if our timeline was based on sporting seasons? What if our goals were driven by a collective thought instead of individual needs? What if you could handpick the talent, invest in the collective win and keep everyone focused on that one singular success? Would we bring home our own Super Bowl ring? Could we win back-to-back championships? Have a common goal. Different than an individual goal, the common goal will yield benefits to everyone on the team. No matter if you are the star quarterback or a third string player, the common goal is achieved by everyone doing their part. Know your talent. Championship teams know what they are made of. If they identify a weakness, they set out to find the right player to fill the spot. This takes an objective eye and a strategic vision. Teach Teamwork. Every person on the team has a specific role. When one person tries to do it all, the team will fail. When one person is slacking, the entire team suffers. Teach the value of the team and not the individual. No one person is more important than the other. Create the chemistry. This takes time. Sometimes people automatically click. For those of us who need to warm up to others, take the time to learn about each other. Look for ways to find other things you have in common with your teammates. Reinforce Your Commitment. None of this works without it. Are you 100% committed to getting to the goal or are you already planning on the excuses you can use? Check in with your team to ensure that everyone remains committed to making it to the end. Communicate Clearly. Everyone should know the goal, know the strategy and know their role. This happens through clear communication. There shouldn’t be any misunderstandings or misconceptions. Talk it out during practice and before it’s time to execute. There are no second chances when the game begins. See Yourself as Winners. This probably should be listed at the top. Every team member needs to buy-in to this reality. They must see themselves winning. They need to envision themselves holding the trophy. They have to believe. My championship team is my family. My children and I all have positions on the team that we are committed to. We hold each other accountable. We meet to discuss strategy regularly and reinforce our responsibilities towards our collective vision. We take an active role in the success of the entire family and everyone wins. Who’s on your championship team? Is it time to bring in your second string quarterback? Are you tracking your wins and losses? 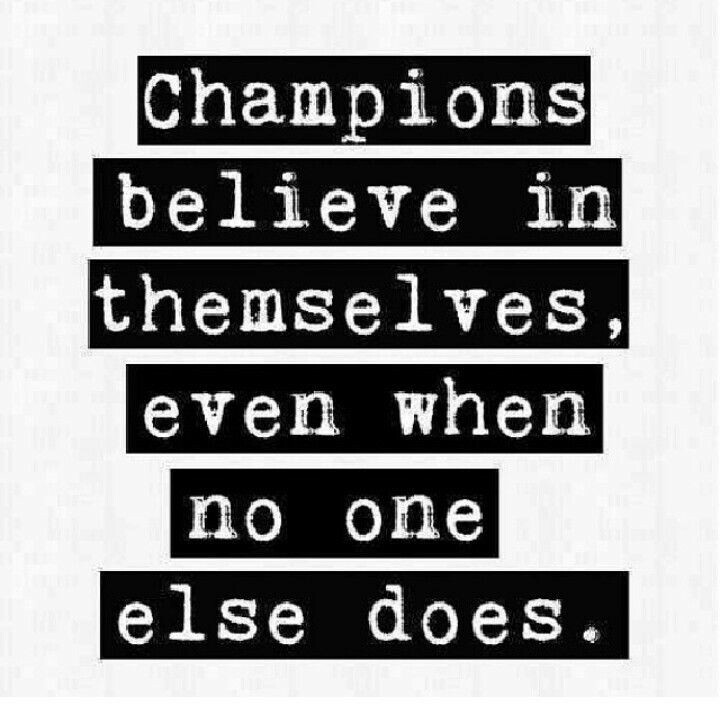 It’s time to think like a champion. Be strategic. Plan your offensive plays. Build your defense. Keep your eyes on the common goal. See yourself already winning!